HERE ARE THE INTERVIEWS THAT YOU WANT TO READ, IN ONE PLACE! 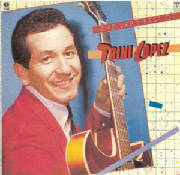 Happy Birthday To Fellow Texan Trini Lopez on May 15! To share your own birthday wishes for Trini, go to his great website at www.trinilopez.com. And please check just one of Trini's entries on www.youtube.com: singing Sinner Man at http://www.youtube.com/watch?v=_-XcB_GvSag&feature=PlayList&p=3E2143F2B69FC20C&playnext=1&playnext_from=PL&index=19! You can also see him on http://www.youtube.com/watch?v=nfyCrpxBbA0 in an appearance on What's My Line?! Please click on the link here for interviews that he very kindly shared with Maven, with a big thank you to his personal assistant, Oralee Walker. Trini Lopez Has Still Got It! Maven got lucky enough to interview Carla Laemle, the only known survivor of Bela Lugosi's Dracula (1931) and who turned 99 on October 20, 2008. Maven is pleased to announce that she has an interview with Oden Fong, # 1 son of Benson and Mayla Fong! He is a pastor at the Cavalry Chapel out in California. Read more right here! This is an interview with Harold Lloyd, the great silent comedian, that was aired on television with Harry Reasoner (April 16, 1962). It takes a bit to get to the actual interview (with a commercial with Jackie Cooper) but, unfortunately, too many people in 1962 had to have who he was to them. The actual segment starts at six minutes. MAGIC IN MOVIES . . .
. . . But what of . . . magic . . . the illusions of Magicians . . . as they have practiced it over the millenium?! Maven has been very lucky to get an interview with a couple who know . . . and inspired this page in Maven's website. Rich and Karen Rogers have not only practiced that fine art but strive to spread the tradition of Houdini and Harry Blackstone in their website at www.moviesandmagic.com. 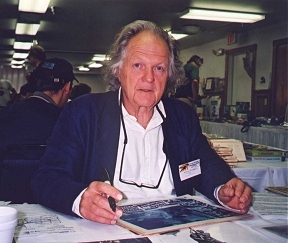 Be sure to check in at Maven's new page at HORROR - SCI FI: Annex for more interviews . . . think Robert Clarke, Mara Corday, etc.! 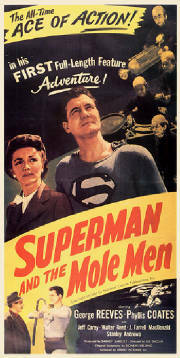 This is an interview* with Harry Thomas who work on the George Reeves television episode of Superman and the Mole Men plus Michael Shayne in The Neanderthal Man. 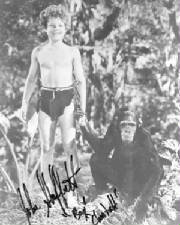 One of the "Mole Men," Billy Curtis, was inthe scene in The Thing when James Arness got cut down to size! A must see for any serious student of Hollywood in the 1920s on the graduate level. A name representing a man and a career larger than life . . . anyway you define him OR it!! And at 6'6" and 86 years of age and still going . . . what else would you expect?! James Arness does very few interviews, unfortuantely for Maven but she has come across a few sites for those of us who remember his work dating either to Gunsmoke (1955 - 1975) or Them! (1954). Arness is certainly remembered as one of the few actors who could face John Wayne on the movie screen and see eye to eye with "Duke" Wayne! 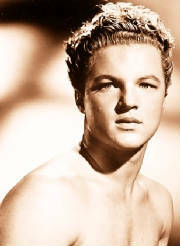 Johnny Sheffield . . . Bomba . . . Boy . . . . Whatever name you knew him by, you never knew about this three part interview that Maven came across! Not to mention one Boris Karloff did with a Canadian radio station about getting a star on Hollywood's walk of fame for Jack Pierce at http://cinefantastiqueonline.com/2008/05/08/boris-karloff-to-universal-give-master-of-make-up-jack-pierce-a-star/. 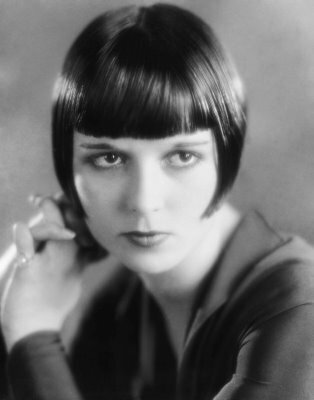 A click here will take you to an interview with Peggy Moran . . . . No, it isn't one of Maven's interviews but it also has goodies like "Karloff's Last Act . . . ." 'Nuff said?! CHARLIE CHAN INTERVIEW: Maven and Rush Glick in . . . "Monster Bash"! AUNT SARAH: Actress in Jonathan Geffner's Dummy Noir "Oxford Park"